The history of the beauty industry is full of strange and scary beauty treatments. Let’s be thankful they are no longer in practice. Many were painful, uncomfortable, led to diseases, and some even caused death. Ancient Greeks and Romans thought crocodile feces had beautifying and restorative properties. The feces were mixed in with mud to use for anti-aging facials or a relaxing bath. 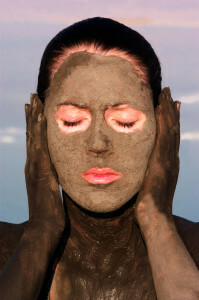 Mud baths are still popular today at many spas. Some claim to improve complexion, relieve joint and muscle pain, and remove toxins from the body. However, they are now made with a soil composed of seaweed, volcanic ash, clay and other mineral-rich substances. A popular facemask in the 16th century was Venetian Ceruse, which was used as a skin whitener. It was in great demand and considered the best available at that time. White lead was a primary ingredient of this cosmetic and caused lead poisoning, damaging the skin and causing hair loss. Usage over an extended period could cause death. Also in an effort to maintain the sought-after porcelain complexion, women would eat clay. This would often cause anemia or chlorosis. Skin lightening is still in practice in some places. However, people use a topical cream containing hydroquinone, which reduces the amount of melanin in your skin. In the 18th century, those in fashion had voluminous and elaborate wigs. The royal courts were notorious for having the most ornate and sculpted wigs. To sculpt these mile-high wigs and hold the hair sculptures in place, they used lard. Terrifyingly, the lard attracted lice and rats. Plus, these wigs would weigh a ton on the top of your head. Before waxing and razors, women and men of the Renaissance removed unwanted hair with homemade depilatory creams containing severe abrasives like quicklime and arsenic. Smooth, hairless skin is one fashion trend that has stayed around, but at least there are pain-free ways to get this look. Sure, all of these beauty treatments are in the past, but that’s not to say people today don’t partake in some strange things for the sake of beauty. For example, fish pedicures, where hundreds of fish nibble away dead skin, were popular a few years ago. If you’re looking into adding an unusual service to your salon or spa’s line-up of services, you may want to have a chat with your insurance broker about the risks. Otherwise you, too, may end up in the scary beauty treatment hall of fame.